​fully comprehensive courses reflective of today's regulatory compliance issues. Cost-effective and scalable to train some or all of your staff members. An annual membership option is available and features ongoing support and a dedicated Associate. Flexibility to access and complete course content on your own schedule, regardless of your location. All you need is an internet connection and a computer or mobile device. Our compliance professionals research and verify that bankED's content is up-to-date with current compliance rules and regulations content. ​​bankED video modules offer a variety of course content ​in-line with current compliance rules and regulations. Each module consists of an instructional video, supporting exhibits, pre-test review, and final exam. We have a team of highly-trained financial industry professionals ready to assist you. 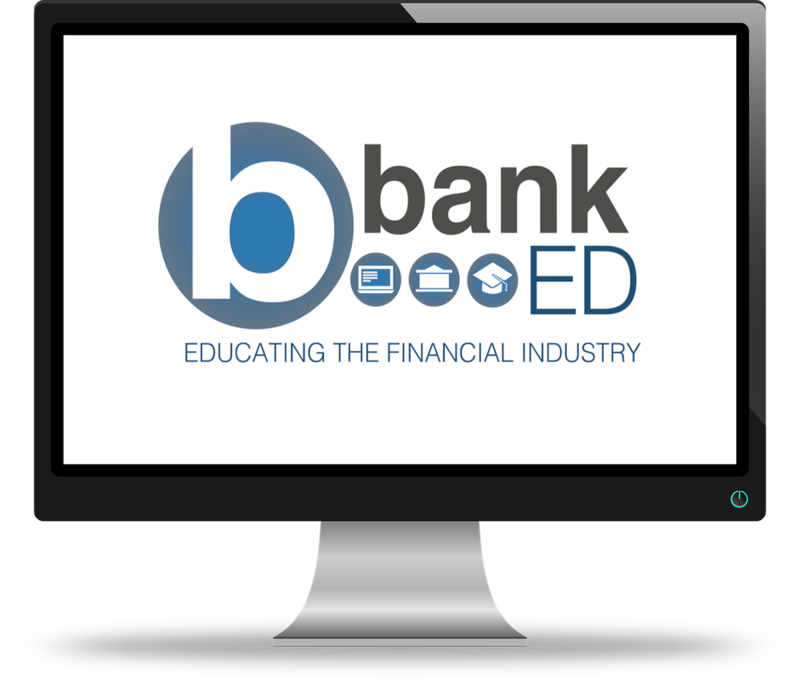 bank​ED is powered by Professional Bank Services, Inc., a unit of the education division of ProBank Austin, the financial industry’s preeminent consulting, education, and investment banking partner.